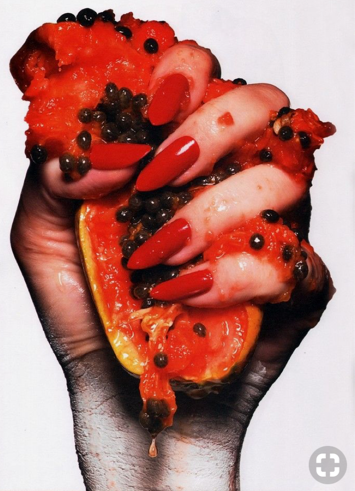 Client Brief :We are looking for images of a woman’s hand squishing a fruit. Papaya or pommegrante ( red, juicy, seeds). Natural neat nails, black or dark nail varnish. White background and enough copy space on top and both sides.